Among previously announced titles such as The Legend of Zelda: The Wind Waker HD and The Wonderful 101 being shown during the Nintendo Direct broadcast this week, the company revealed Retro Studios' new title in development, Donkey Kong Country Returns: Tropical Freeze. 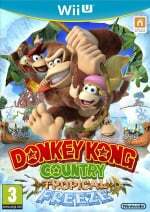 It was announced that the sequel to Donkey Kong Country Returns would release later this year, but now a launch window has been opened, so get ready to battle it out against Vikings with Donkey Kong and his trusty companions this November. The game will launch in both Europe and North America in November this year, specific dates for each region have yet to be set in stone. Will Donkey Kong Country Returns: Tropical Freeze be on your wishlist this Christmas? Let us know in the comment section below. Oh wow really. Ok that was quicker then I was expecting. Yes I will wish for this with my wallet! I'm glad it's at least coming soon. But if five years go by and Retro announces DKCR3 I'm flipping out. My Wii (and with it the save file) got stolen so I haven't beaten the first one, but I really liked it and will definitely be getting this one sooner or later. This and Zelda in the same month? What a great birthday gift. Thanks, Nintendo! There's absolutely no way I can resist a day-one purchase. NO WAY. I'm so insanely stoked for this game, it's ridiculous. Will definitely be picking this up if I have a Wii U at the time.. maybe black friday I'll pick up a Wii U and this plus Wind Waker for a worth while deal. SO EXCITED. I can't wait to experience dat dynamic camera first hand. If a 3DS stops working and you send it in for repair, are the digital games still saved? With their save data you progressed too? I'll have to try the original for the Wii by then. @Funny_Moblin If they can repair it, then yes. If they can't and replace it instead, like mine, then no. That's why Nintendo needs an account system. If my iPad stops working and I buy a new one then I can just redownload everything that I've purchased before. My 3DS just randomly stopped working a year ago and it couldn't be fixed so they replaced it. I made sure I keeper my SD card and everything but didn't matter, I lost everything. This looks so Sweet!!! Can't Wait ... Till its On like Donkey Kong!!!!!!! @MeWario Thank you for the explanation, I'm sorry for your loss of games. I was on the fence of getting Animal Crossing: New Leaf digitally, but maybe I shouldn't. Probably a guarantee that you'll keep a game forever is better than convenience. Day one for me. Retro has never let me down. "Will Donkey Kong Country Returns: Tropical Freeze be on your wishlist this Christmas?" @Dev Me too!! I thought they already said November but when they said late 2013!!! That's good. Hopefully it wont be too long before Retro are sent to work on another Nintendo Franchise. I will be getting this one for sure. One of the few games I'm interested in that were announced as it is 2013 and not over a year away. @Funny_Moblin @Dev can you guys also work out when Mario Kart 8 & Smash bros are coming out? Re-releasing the first game on their crazy popular 3DS, and then half a year later release a gorgeous sequel for the troubled Wii U.
Configuring the new Mario game for Wii U to closely resemble an upgraded version of 3D Land, one of the fastest selling 3D Mario games. I think these guys know what they're doing. They want all the people with a 3DS to long for the Wii U. Wasn't expecting this from Retro but now that I've seen it, I'll be definitely getting it this November. Looks excellent. Day One for me also, I'm one of the few/minority that was happy Retro made a new DK game rather than Metroid Prime, not the biggest fan of Metroid Prime myself, but, believe it or not DK was one of the games I was very much hoping for. 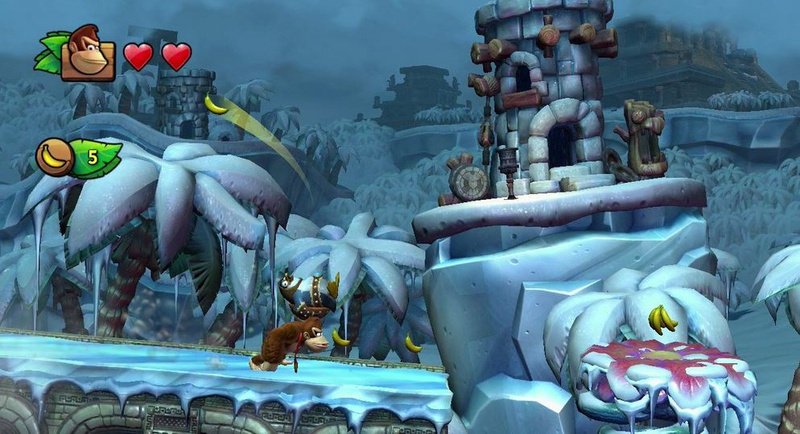 So hearing "Tropical Freeze" is on the way later this year was music to my ears, I think the game is looking great! Day one, the fist one is my favorite platformer on the Wii! Noooo around the same time the PS4 releases, i'll have to but money aside for Donkey Kong Country Returns: Tropical Freeze, wether i play it in Nov is another thing. mario 3d can wait. this go first. and the new Yoshi too.